To be honest, I’m not a fan of the covers of either book, but as the saying goes, “you shouldn’t judge a book by its cover”. And I’m glad I didn’t – I was hooked. 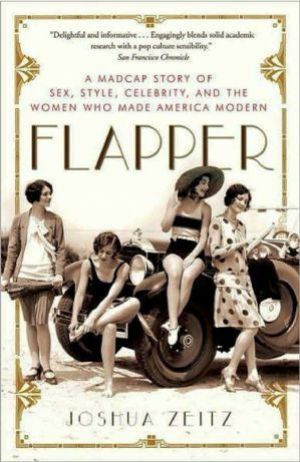 Tapert gives a fascinating introduction into some of history’s most intriguing women and their relationship to style. I was disappointed that there weren’t more books in the series, but it did send me on a rampant search for related books about some of the women featured, and others that got mentioned along the way – see my list of suggested further reading here. Reveals the inner qualities of 14 remarkable women who define style in ways that have lasted for generations. Witty and fascinating excursions into the worlds of Coco Chanel, Pauline de Rothschild, Diana Vreeland, Elsie de Wolfe, and others are captured in lavish photographs and entertaining anecdotes. We discover not only the preeminent influence that these women held over fashion and culture, but also the wry, often poignant tales of their personal lives. From Annette Tapert, the co-author of the popular The Power of Style, comes a book that is just as beautiful and entertaining but that redefines an attribute even more intangible. In word and image, it evokes a unique Hollywood era and eleven of its goddesses who lived, and left as their legacy, the Power of Glamour. lamour was personality. Annette Tapert’s movie-queen profiles, rich with fresh insights, reach beyond the star-making machinery, fan magazines, fashions, and cosmetics to the essence of each women: the carefully molded image of Gloria Swanson, who started it all . . . Marlene Dietrich’s siren persona on and off screen . . . the “reverse glamour” of Katharine Hepburn and Greta Garbo. Their power–and that of Joan Crawford, Carole Lombard, Norma Shearer, Claudette Colbert, and the long-neglected Kay Francis, Dolores Del Rio, and Constance Bennett–lay in using style, wit, and guile to outsmart the studio system and enchant the world. In these pages we see how, veiled in intrigue and mystery, they brought glamour very close to its original meaning: witchcraft. This entry was posted in Uncategorized and tagged glamor, glamorous, the power of glamour, the power of style.